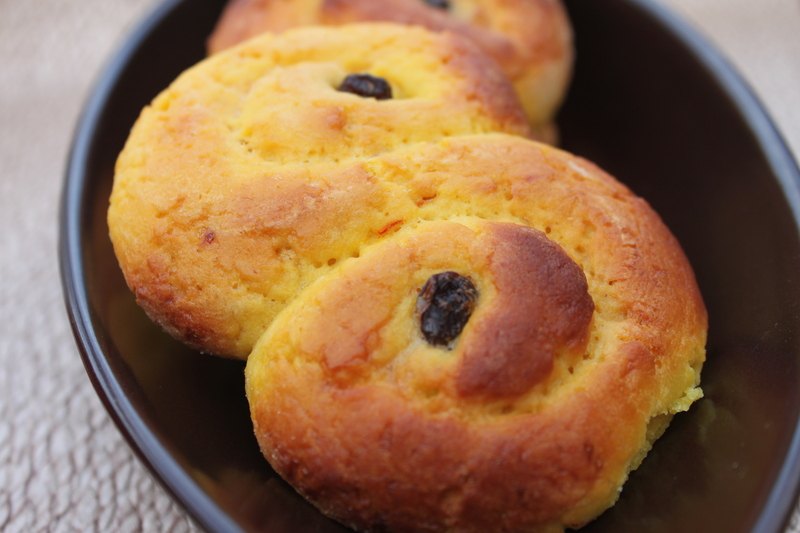 Back in the day when I first made St Lucia Saffron Buns, they were not really that popular on the blogosphere, let alone gluten-free versions. In order to make them, I relied heavily on Skype conversations with wonderful swedish Uncles (just in case you’re reading Unc 😉 ) and swedish cookbooks. Things have moved along since then and Saffron buns seem to be the in thing. Yep, if Paul Hollywood’s doing em, you know you’re on to a winner! 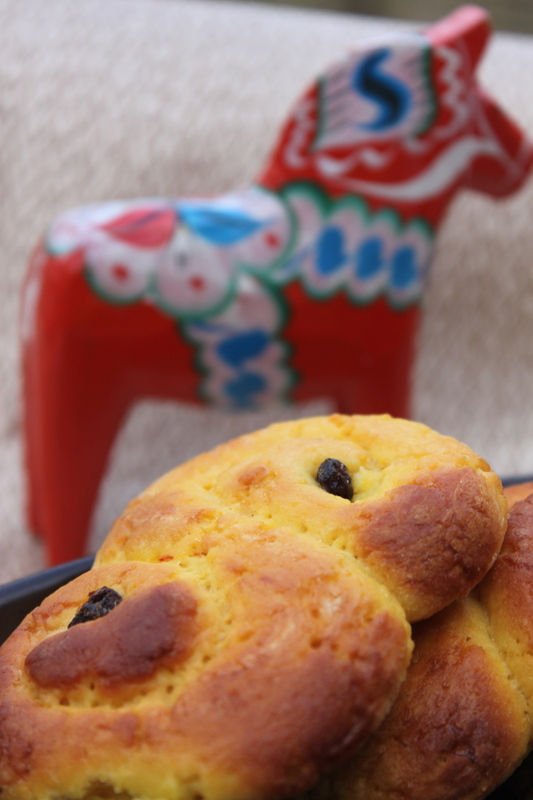 Having said that I actually started making them waaay before Mr Hollywood to coincide with St Lucia Day on the 13th, but I thought I’d rather post it later and be happy with my recipe than rush and end up regretting it. Six days later…. I wouldn’t say I’m 100% happy but I’m pretty close. 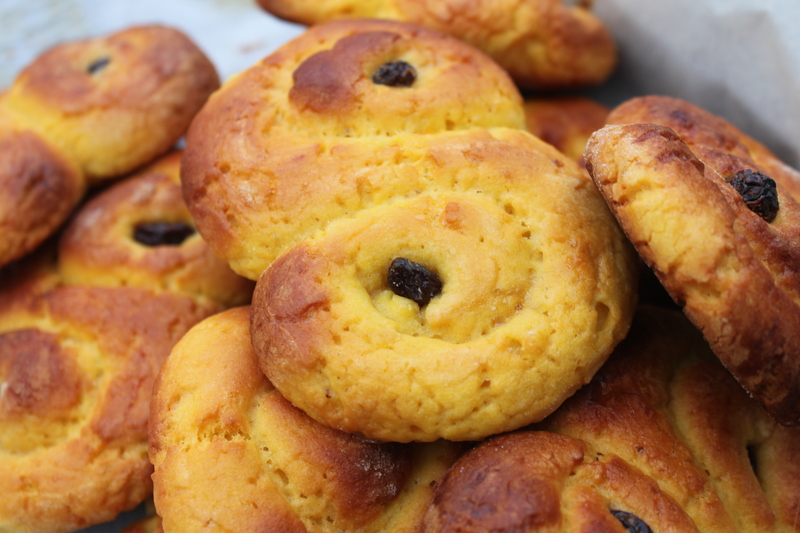 My main problem is that I’ve never tasted a St Lucia bun, as I tend to go to Sweden at the start of the year or just before summer. I’m an expert of Swedish Easters but have never been for Christmas, so I was beyond thrilled when I found out TotallySwedish were selling a gluten free version, but alas, I got there too late and all stock was sold out. 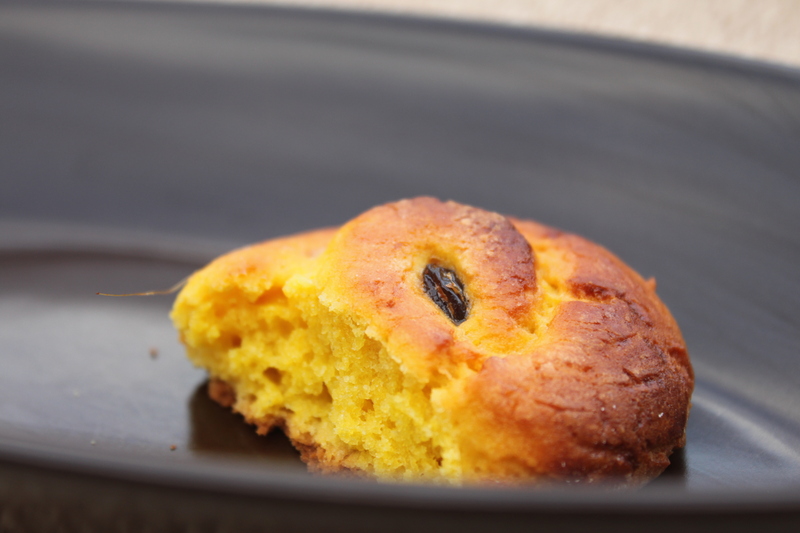 How do you make the perfect gluten free saffron bun when you’ve never tasted one before? I researched a ridiculous amount, by reading what seemed like a hundred recipes in English and Swedish (Thank you Google Translate) and I now know an unhealthy amount of information about the best ways to use and extract saffron, how to know you’ve bought good quality, prices and all the rest of it. 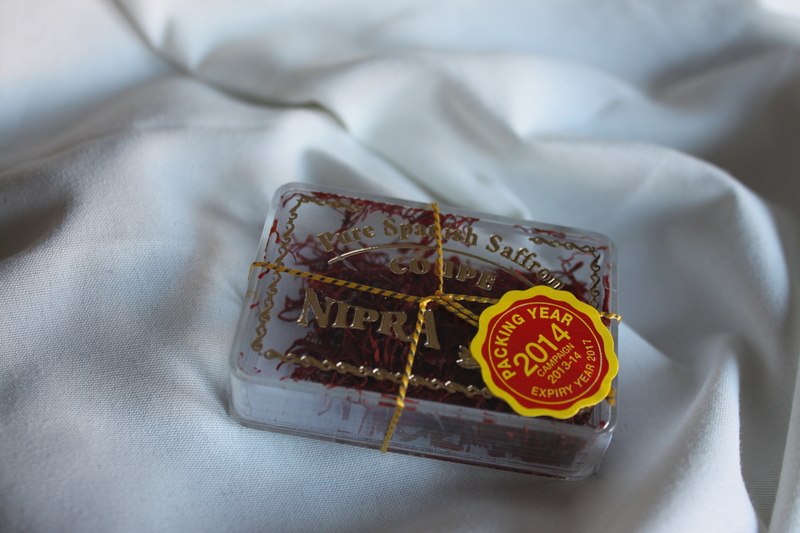 I am a self-confessed saffron expert. I played around with gluten-free tried and tasted sweet yeasted bun recipes that had worked for me in the past, added more butter for more of a brioche like taste, included a liquid in addition to the milk to make the dough softer and easier to translate to gluten-free and added the wonder ingredient fibrex for added elasticity. I feel a bit like the mad scientist cos I could easily see myself tinkering with this again and Paul’s gluten take on it, has give me some new ideas. So enjoy the fruit of my labour dear readers till next year. Better late than never! The next day Mix 2 cups of flour and yeast together Make a well in the middle of the bowl. Pour into milk mixture with egg, quark and butter. Beat until smooth and sticky. Add Fiberhusk and whisk again. Put in a lightly oiled bowl and cover with cling-film. Leave to rise for one hour. After an hour. Add 1/2 a cup of flour, sugar, salt and mix until smooth and elastic, then add the remaining 0.25g/ 1/2 tsp of saffron and knead it into the dough with your hands (You could crush it in a pestle and mortar with the sugar first to add more saffron flavour, but I wanted the saffron threads to show so didn’t). Divide dough into 12 balls and cover pieces with oiled clingfilm while rolling so they don’t dry out. Once shaped, place on to baking paper and leave to prove for an hour. Bake for 15 minutes then eat once completely cooled (I tried to warm them up the next day but it doesn’t work. The texture hardens so don’t make too many in one go and eat them on day of baking). Enjoy! The buns look amazing. I’d like to make the recipe but I cannot see where you list how much milk! How much milk do you use in the recipe. Did I miss that? What do you do with the butter? I dont see it in the instructions. Did you use active dry yeast or instant? Hi David. I used instant yeast. I know this is an old post, but I’m excited to bake these this year. But where oh where in the process do you add the butter?? Hi JP! I’ve updated the post to include the addition of the butter. It would be added with the milk mixture. I hope you enjoy it! Thanks! I ended up beating in the butter later as if it were a brioche, and that seemed to work okay. The rolls turned out beautifully (and pretty tasty for gluten-free) and were much appreciated by the friend I baked them for!